Are you in a playful mood? 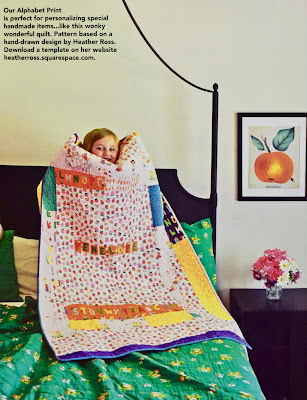 Do you have need of a cute kids' quilt? 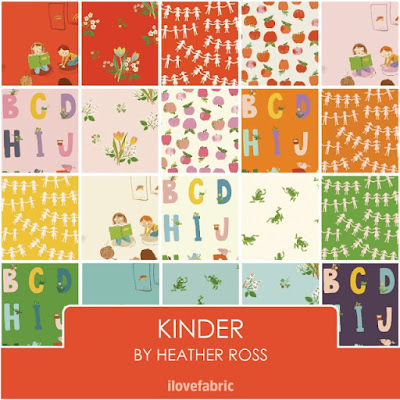 We have the Kinder line of fabric by Heather Ross for Windham Fabrics in the store now! or a herd of frogs, leaping around?! The colors are good strong shades, and the artwork was inspired by the drawings of Heather's own kindergartner daughter. So this is "kid approved"! This is the Rainbow quilt, a free download on Windham's website. 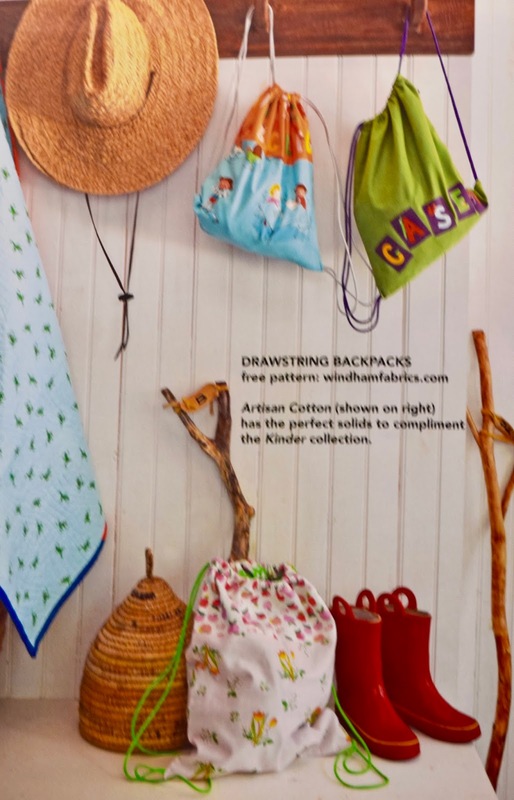 Here's something else the kids love--a drawstring backpack! Pattern is free on the Windham website. Personalize it if you wish, using the cut-out letters from the alphabet prints. Easy raw edge applique can spell out the child's name, a favorite expression, or something funny. Shop with us any day of the week! day-to-day. That's why our business hours are perfect for you! There must be a chance for you to stop in the store sometime during the 64 hours each week that we are open! Today I'm sharing our new window display at the store. 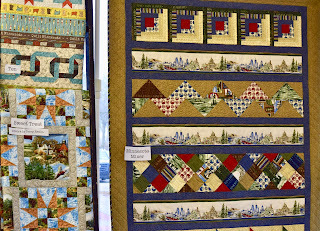 We'll call it the Quilt Minnesota Retrospective. And it's all about me, Pam Hansen, your friendly blogger! Way back in 2008, I began a little journey into the land of designing and writing patterns. I have learned so many things along the way! Even if everything is proofread 3 times there can still be typos! And math is really important! I've learned ways to improve the formatting, and learned to create diagrams. I've also been using photos in some patterns, so I've worked on making those as clear as I can without being a pro! I've gotten pretty good at shooting the pictures for the pattern covers, with tips and ideas picked up along the way. My son, Dan, is responsible for the template on the front and back of the pattern. I send him pictures and text and he makes it work! Debbie (store owner and therefore the boss) encouraged me to try writing some quilt patterns specifically using the exclusive fabrics designed each year for the Quilt Minnesota Shop Hop. I thought sure, I'll give it a whirl! And so the story goes.....! 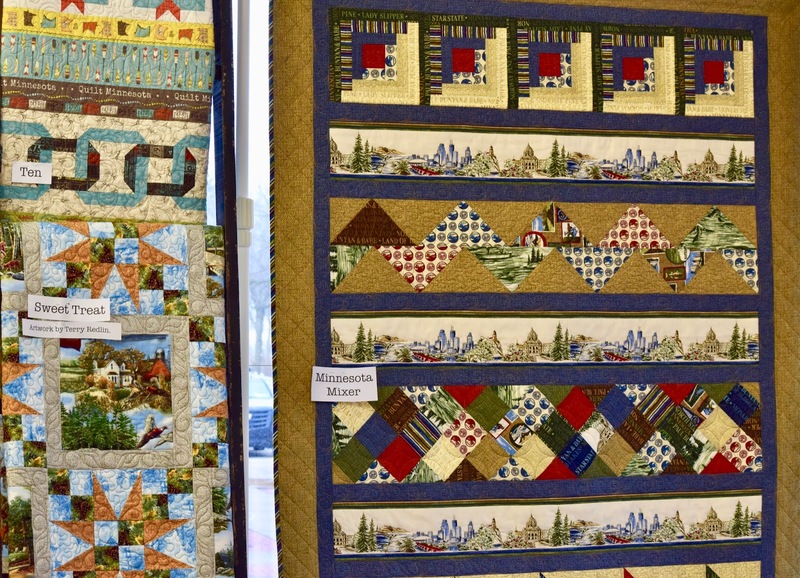 I searched high and low in my house to find each year's special quilt. The first year I only made a tablerunner, I didn't have time for anything large. But from then on, I designed something different each year, and sometimes more than one! When I got all of these displayed, I had to step back and take a deep breath! That's a lot of work! 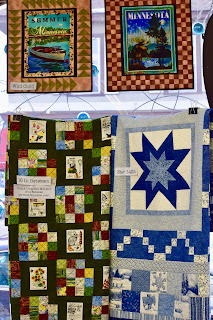 Each year there is usually some sort of panel or border print or decorative scenes. So I usually incorporated that whenever I could to just give customers ideas of how they could turn those into something more than they started with. 16 In Between, Star Light and Wild Child up above. 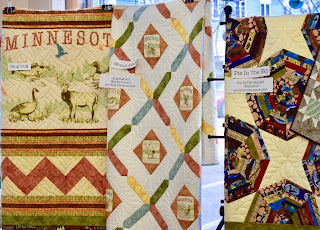 I've used the row quilt layout more than once. 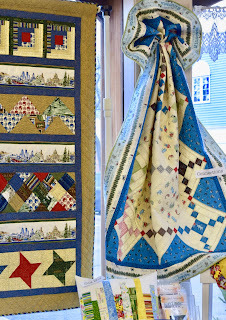 There are 2 examples in the picture below, although the quilt on the upper left isn't very visible. 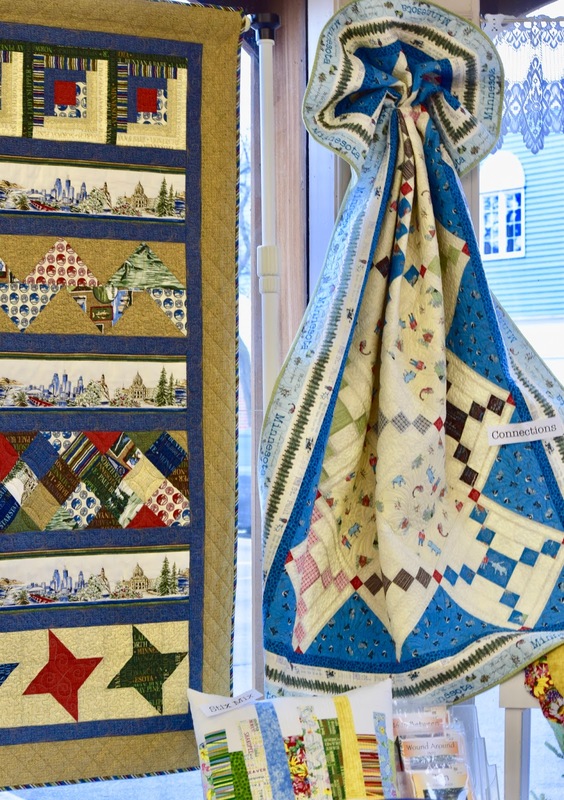 The quilt on the lower left was made with fabrics originally designed by James Meger, a noted nature/outdoor artist. Ten and Sweet Treat on the left, MN Mixer on the right. MN Mixer, Connections and Stix Mix pillow below. 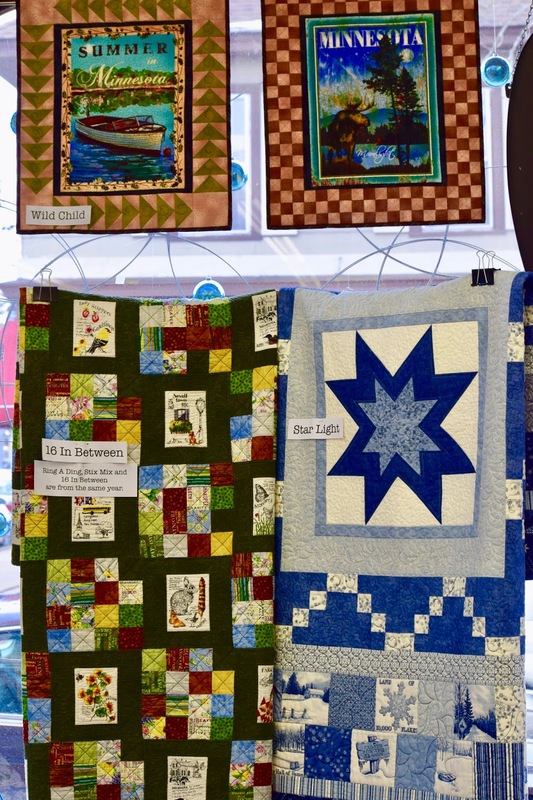 The quilt on the right above is called Connections, and it is one pattern that I have made in multiple sizes. 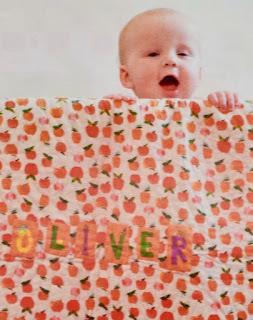 The baby quilt is cute and just the right size! 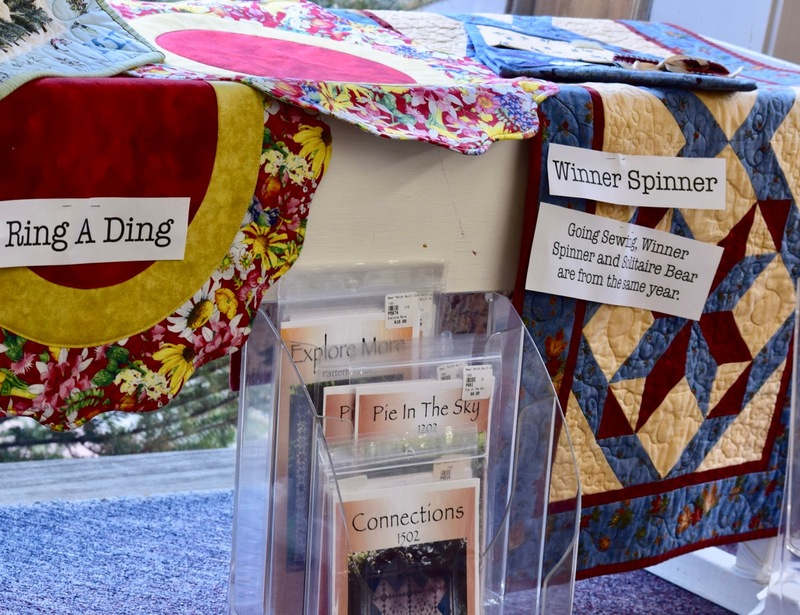 Below are 2 patterns that are small items that were part of the collection - a tablerunner and a pair of tablemats for centerpieces. I've used that round tablemat design for making some Christmas gifts, too. 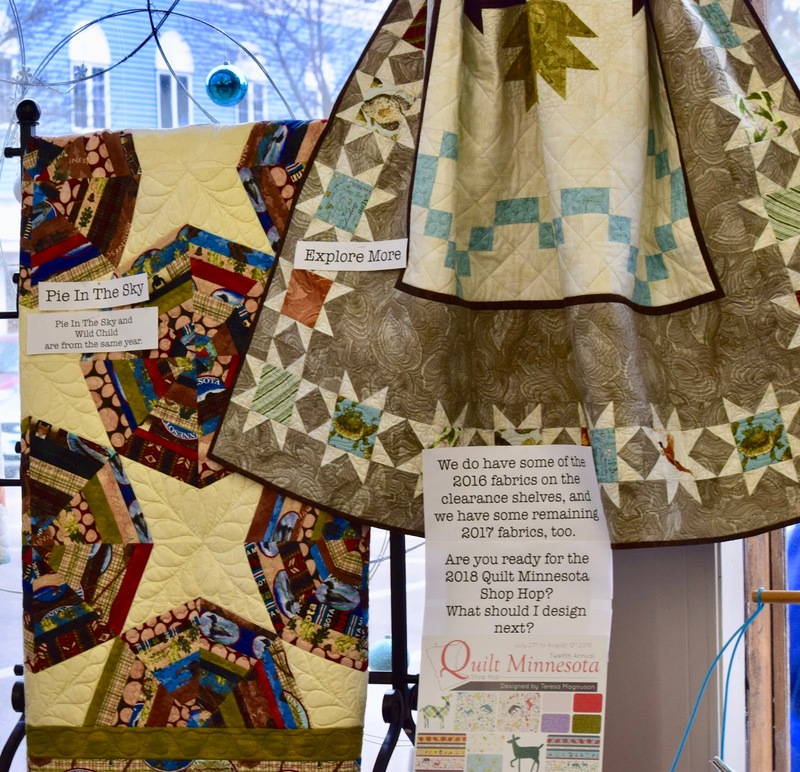 So that's the saga of my Minnesota quilts! It's been an interesting endeavor, and it's been fun to see many patterns come to life in fabric. We always make up some kits for the quilts, and I've taught some as classes. The 2018 fabrics can be viewed online but we haven't received any bolts yet. I'm wondering what I will come up with this time?